Versatile bath bar can be mounted up or down to fit. Full coverage wall plate easily hides existing opening. Suitable for damp locations. Perfect for bath, kitchen, and service porch areas. 3-Light Brushed Nickel Island/Billiard with Red Glass - 42 inch This island/billiard will update your home with its eye-catching design. 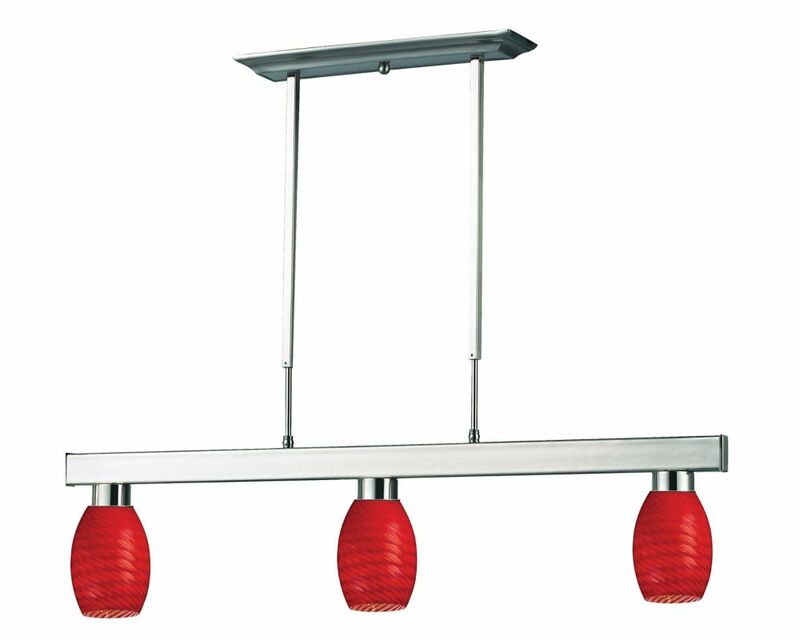 Featuring a brushed nickel finish and red shade(s), this fixture will accommodate a variety of dicor styles. With its easy installation and low upkeep requirements, this island/billiard will not disappoint.